Sentimental Stamped Silver Flatware for Use & Display. 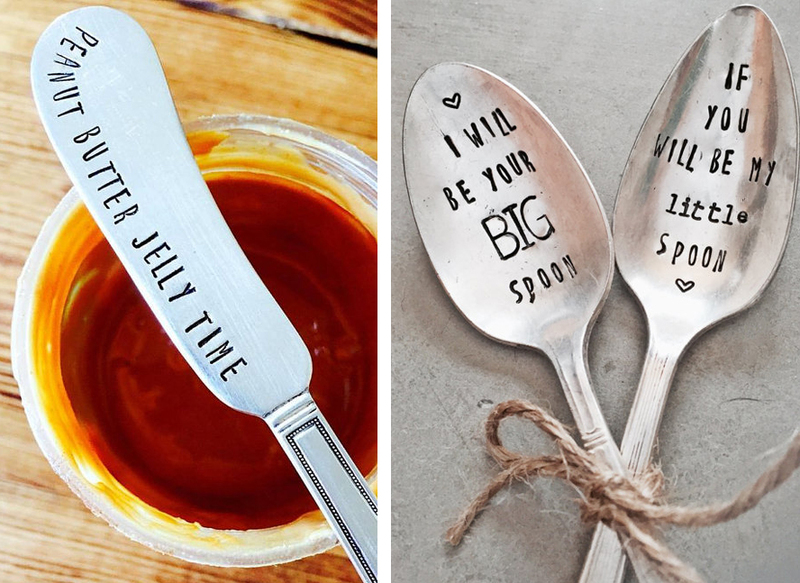 Spoonfuls of Puns & Slices of Charm to Mark a Memory. Both the photographer and baker in me love this local artist! Well, technically, my punny side is also a fan, and I will always have a special place in my heart for creative upcyclers! 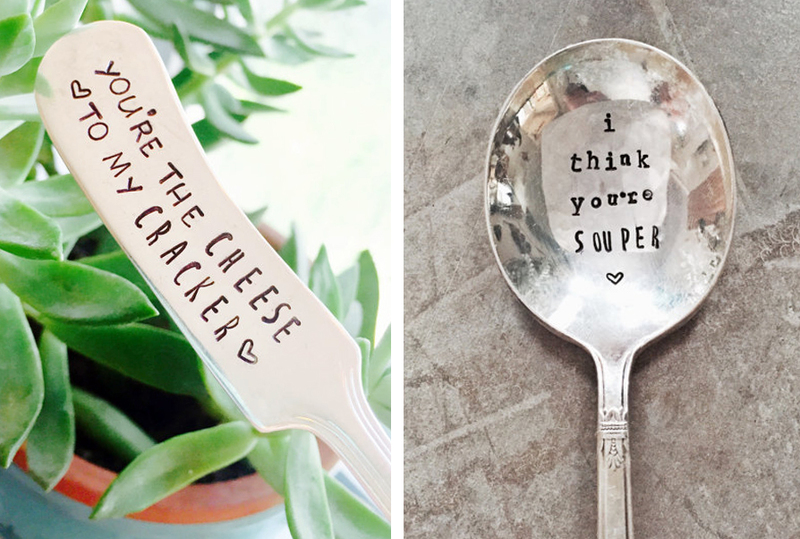 Chelsea of Sweet Thyme Design has hit a sweet spot with her clever take of statement serveware! 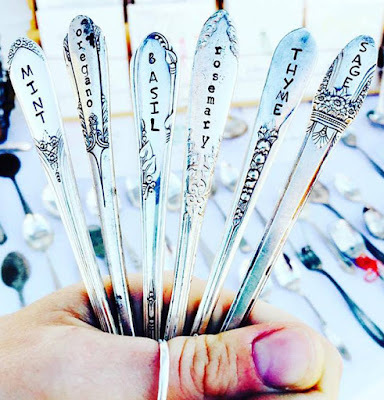 She first seeks out interesting vintage spoons, knives and forks that have been forgotten or gotten lost from their set. To some these are no longer useful, but to Chelsea, they are wonderfully unique canvases! She shines them up and adds sentiment or sass in the form of stamped statements. Some she flattens for new use like a garden marker or bookmark and others she maintains in their original form for serving or eating with flair. I love how clever she is at pairing punny thoughts with the type of flatware. 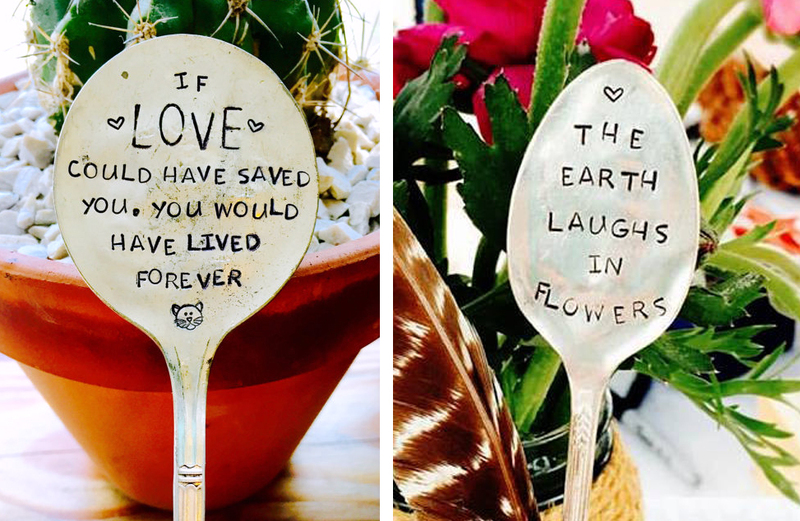 Who doesn't get a kick out of light spoon and fork jokes? Don't worry, they're all quite tasteful and bound to make you smile whether you love coffee, tea, desserts or other snacks. "Let love brew," "You are the cracker to my cheese," "Best-Teas" and more! Chelsea's work makes a perfect gift for people who love to cook, bake or eat. They're also ideal to mark an occasion or anniversary since you can choose a pun that suits your recipient or even have custom text added like a date. The hardest part of choosing which spoon, form or knife you like best. Maybe we all need a whole set!